West Kalimantan is very rich with natural resource and human resource, especially the cultural resource. But most of this resources is less known by the outsiders, so the potency still not yet developed to promote the region. This is including the potency is tourism sector. Thats why, here we will tell you some reason why you should go to West Kalimantan, so you can enjoy the uniqueness of this region. Dayakness people are the native tribe of Kalimantan and Borneo, at least 200 sub-tribe of Dayak live in Kalimantan. What makes Dayakness people interesting is their traditional way of life, though there was some of them live in modern way. Their generous attitude for outsiders. With so many sub-tribe, Dayakness also has very rich cultural activity like traditional dance, architecture, and food. If you want to see Dayakness people practising their traditional life, you can visit Ensaid Panjang in Sintang, in Ensaid Panjang you can see and stay in a house that has 130 meters length. Chiness people has live for hundreds year in West Kalimantan, their tradition has been condisidered as part of West Kalimantan tradition. Every year in fabruary, Chiness people in West Kalimantan celebrate their new year which called as Imlek. At this celebration, we can enjoy many attraction from chiness ancient tradition like, Tatung, Dragon Dance and Barongsai. 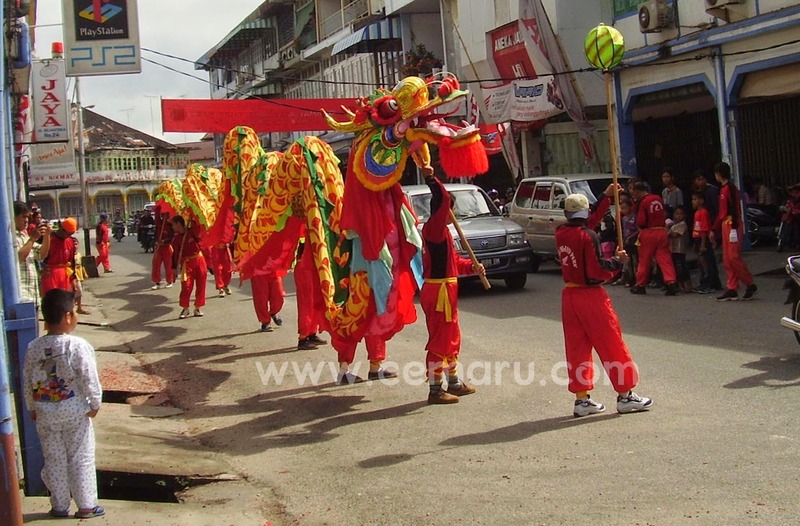 15 days after Imlek, the celebration continued with cap go meh, the dragon puppet which played in that 15 days will be burnt. Gunung Palung National Park located at Sukadana, The park has high diversity of habitat types, from mangrove and freshwater swamp forest, to lowland alluvial (empran bench) forest, to montane forest. This area also has high diversity of wildlife. 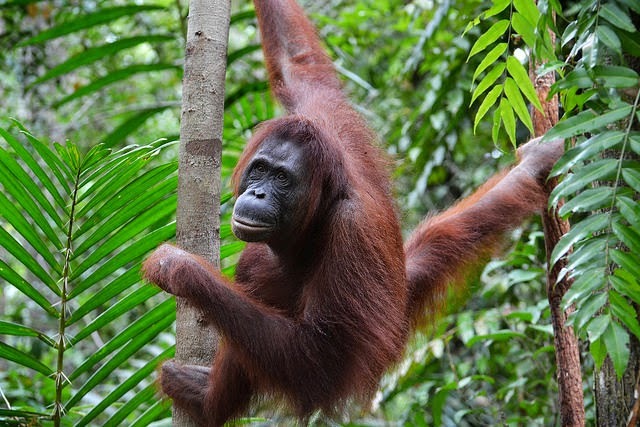 It is one of only one of few parks in the world where orangutans can be seen in the wild. Danau Sentarum or Sentarum Lake is a lake complex dominated by peat swamp forest. Danau Sentarum National Park located at Kapuas Hulu Regency, is a national park protecting one of the world's most biodiverse lake systems, this national park located in the heart of Kalimantan Island. This lake is the main habitat for Arwana (Scleropages formosus). There is only two place where you can see Orang Utan in wild, Sumatra and Kalimantan/Borneo, this species is the biggest monkey in Asian region. Actually orang utan in Sumatra is different with orang utan from Kalimantan., orang utan in Kalimantan is smaller than their realtive in Sumatra. You can find Orang Utan in Gunung Palung National Park. 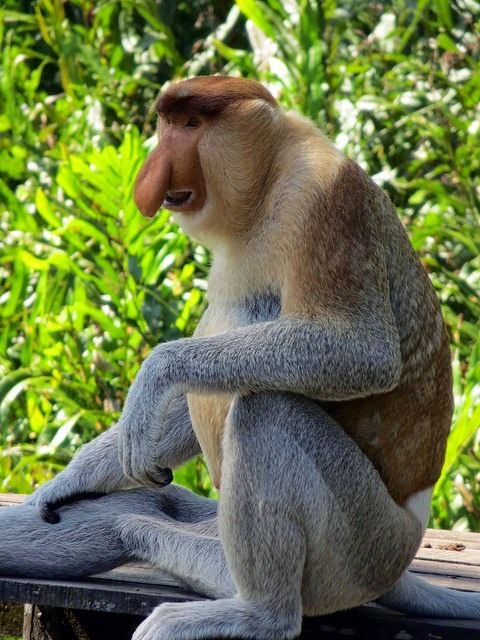 Proboscis monkey is a very rare monkey because it is an endemic monkey in Kalimantan/Borneo. It has big nose and blonde hair, so native people call it as "Kera Belanda" (Holland Monkey). This monkey can find out at Gunung Palung National Park, Kendawangan and Paloh District of Sambas Regency. 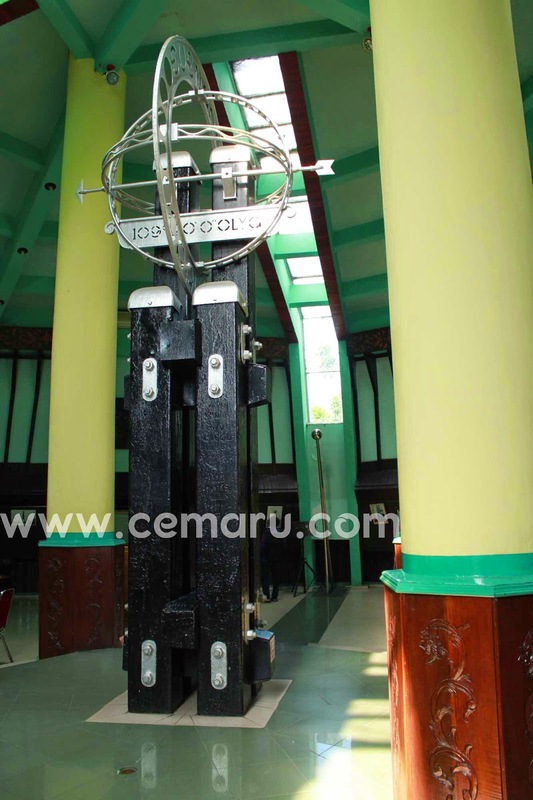 Culmination is a an event when sun position is right above the equator line in Pontianak City. Culmination occur two times a year, 21-23 March at 11.50, and 21-23 September at 11.38 at Equator Monument, Pontianak. When culmination occure, all things near the Equator Monument will loose it shadow. 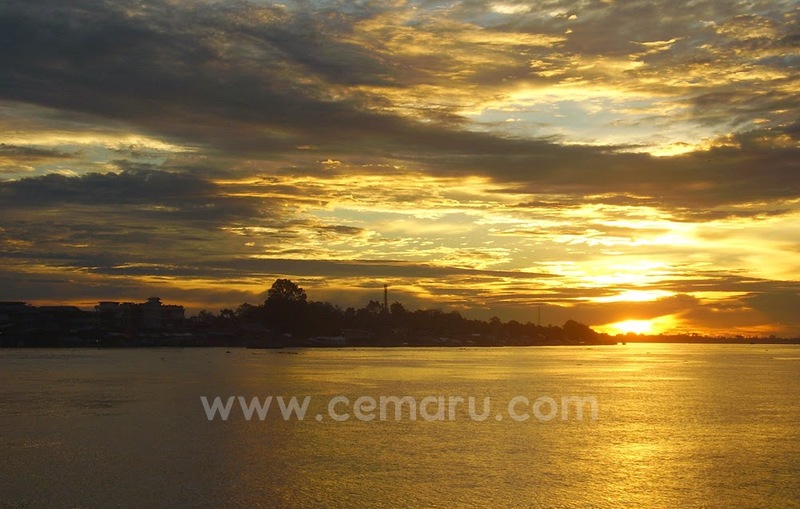 Kapuas River is the longest river in Indonesia, it has 1400 km length. This river is a habibat for many kind fish which are endemic in Kalimantan. This river is very important and many people in West Kalimantan depending on it. It is source of fresh water and fish, and people still use it for bathing and washing. 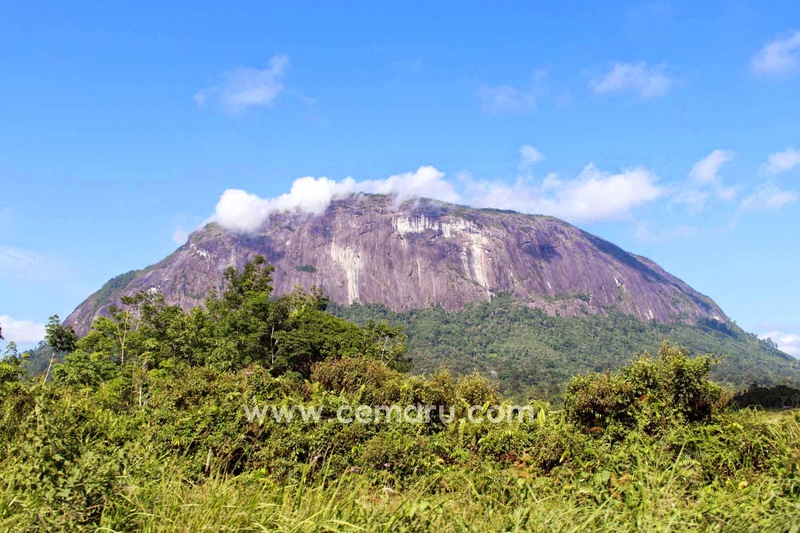 Kelam Hill is the 2nd biggest stone in the world. It has 900 meter high and nice view from the bottom or the top. This hill is habitat for Nepenthes clipeata which are endemic species of West Kalimantan and only can find on Kelam Hill.